On election day 2018, Americans voted in unprecedented numbers and pushed back against a president and political party that has bent every rule, tested every boundary and stoked every fear imaginable to maintain their strangle-hold on federal power. Since the 2016 election of Donald J. Trump, this nation has languished, caught in a whirlwind of disfunction and fear fueled by the vestiges of a mindset and way of being that has plagued this nation since its birth—a mindset now gasping for air, fighting for the oxygen needed to maintain control and stay alive—it is the destructive mindset of White supremacy. This week, Americans put their hope in the Democratic Party to take control in congress, state houses and legislatures around the nation to curtail, control, limit and eventually prohibit the potential damage this mindset could have on the future of an America growing more ethnically diverse by the day. Assuring success was not an easy task for voters. Masterful gerrymandering in states under Republican control, coupled with outright voter suppression and bolstered by unabashed dirty tricks, required voters to turnout in overwhelming numbers to overcome these obstacles—and they did. Across the nation, Americans worked overtime to help make their desire for change, a reality. They strategized, rallied, registered, donated, knocked on doors, made telephone calls, motivated family, inspired friends, voted in overwhelming numbers, and in the end—are now positioned to balance and put a check on a federal government that most Americans believe has gone astray. Democrats took clear control of the U.S. House of Representatives. As of Thursday morning, they had secured 31 additional House seats. In January they will take control of the House with a clear majority of 231 seats versus 204 held by Republicans. Also, on Thursday, at least ten seats in the U.S. House of Representatives were headed for recounts. The Democrats’ success did not end there. American voters delivered seven governorships, 323 legislative seats and gave control of six state legislative chambers the Democratic Party. These changes will be pivotal as the nation prepares for the U.S. Census in 2020 and offers enhanced opportunities to undo gerrymandering orchestrated by Republicans after the 2010 census. Beyond these factors, the election also impacted states in other ways. 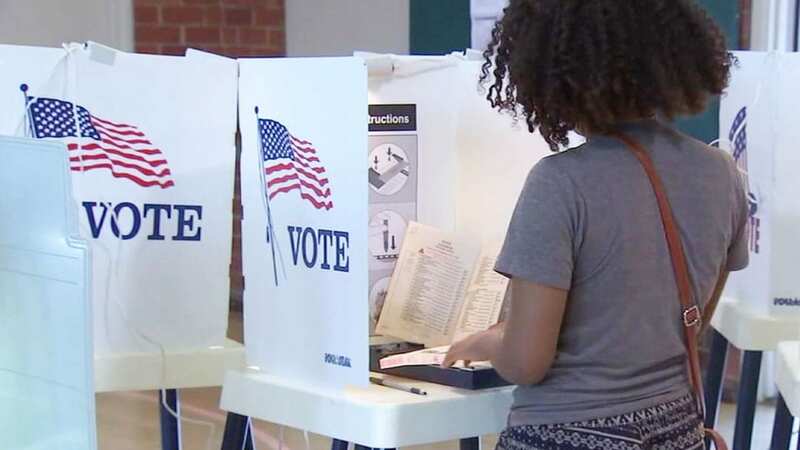 Democrats successfully secured super-majorities in at least one legislative branch in the states of Michigan, North Carolina and Pennsylvania. Holder stressed the need to keep building public awareness about the essential and critical need for an accurate census in 2020 and the absolute importance of fair re-districting that must follow in 2021.